Latest gist reaching us reveals that Unity Bank has reportedly cancelled its plans to sign Chocolate City rapper, Ice Prince as its brand ambassador. It was said that the decision was reached after both the bank disagreed with the rapper's valuation. We also learnt that the rapper has now been chosen as the new face of the 30th edition of iconic entertainment magazine Bubbles Magazine . 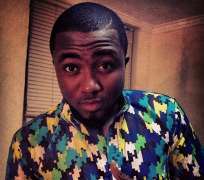 According to information, the bank had decided to sign the 'Fire of Zamani' crooner as its ambassador because of his rising hip-hop brand and mainstream appeal, but things fell apart when Ice Prince allegedly asked for a sign on fee of N300m, which didn't go down well with the stakeholders of the bank. The bank was reportedly left with no other option than to dump him. They are now looking at another star to make use of. We learnt Nollywood actor, Joseph Benjamin, might grab the deal, all things being equal. Joseph Benjamin is well known with the MTN brand.